Language:English, Chamorro, Carolinian and Tagalog. Area:Saipan: 120km², Tinian: 101km², Rota: 85km². Total land area for the CNMI is approximately 460 km². Exclusive Economic Zone is approximately 777000 km². Terrain: Southern islands are volcanic and limestone with level terraces. The islands are surrounded by fringing and barrier coral reefs; northern islands are volcanic, with steep slopes and loose sediment with fringing reefs. Climate: Tropical marine; moderated by northeast trade winds, little seasonal temperature variation; dry season December to June, rainy season July to October. Geography: The Mariana Islands archipelago consists of 14 islands of the U.S. Commonwealth of the Northern Mariana Islands located in the Western Pacific. The island chain stretches about 450 nautical miles from Rota in the south to Uracas (Farallon de Pajaros) the northern most island. Saipan, Tinian and Rota are the most developed islands, hosting 99% of the CNMIâ€™s population. The EEZ extends 200 nautical miles from the islands shorelines. Economy: Tourism and the textile industry generate a majority of the commerce. The agricultural sector is made up of live stock ranches (Cattle, Hog, Goat, Chicken) and small farms producing Fruits (Banana, Papaya, Mango, Watermelon, Pineapple, etc), Vegetables (Corn, Green onion, Lettuce, String beans, Eggplant, Okra, Yam, Taro, Sweet potato) and Betel nut. A majority of these agricultural activities are small-scale farms. Fisheries consist of commercial and subsistence activities (Trolling, Hook and line, Spear, Cast net and Gleaning). No reports were identified to document traditional aquaculture activities in CNMI. In 1981 a farm site evaluation was completed by the Mayo associates, a private consultant firm. In 1983, aquaculture, marketing, and research priorities were researched by the West Coast Aquaculture Foundation. Many constraints to aquaculture development were identified. As a result, development emphasis was on the harvest of wild stocks. Tilapia (Oreochromis mossambicus) was introduced to Saipan and Pagan in the 1950s. 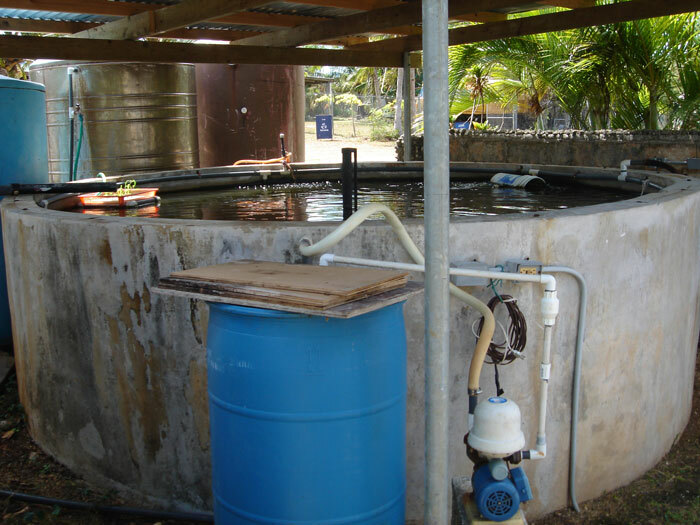 Tilapia (Oreochromis niloticus and Oreochromis mossambicus) farming and Shrimp (Panaied and Macrobrachium) farming are the main aquaculture activities currently focused on in the CNMI. Giant clams (Tridacna gigas, Tricdacna derasa and Hippopus hippopus) were introduced to Saipan and Rota in the 90s. The initial introduction was unsuccessful because of poaching. Another introduction of T. derasa was carried out in the 2004, which not yet been proven to be successful. Funding to support this program has been the main problem. Trochus (Trochus niloticus) from the island of Yap was introduced during the Japanese administration. The introduction was successful, but development of the fisheries has not been pursued. The most recent published 2002 economic census reflected only 5 aquaculture farms in the CNMI. All farms were small scale facilities focused on Tilapia and Shrimp. Currently only a couple of privately owned aquaculture facilities that focus on Tilapia and Marine Shrimp remains. Requests for training and technical assistance in aquaculture have also been made by local farmers. 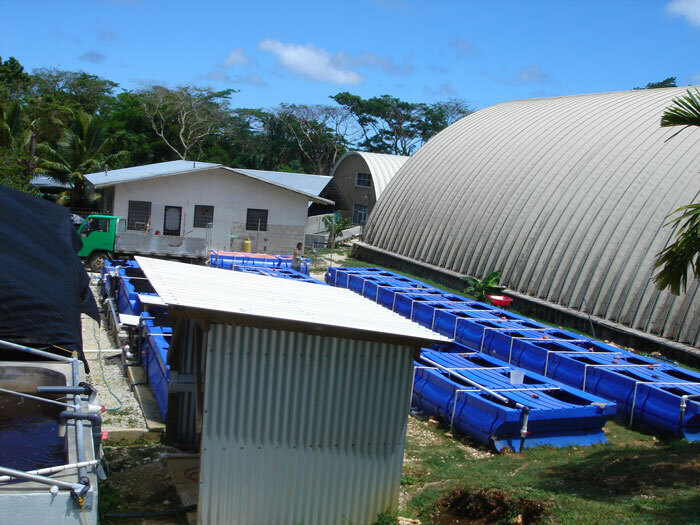 There have been many attempts made at developing viable aquaculture operations in the Commonwealth, however, many of them have been unsuccessful due to lack of capacity from the investor, and limited support from local governments. Many impediments to aquaculture development were identified. As a result, developmental emphasis was directed at the harvest of wild stocks. - Minimal sources of fresh water supply. One of the main features of this industry is that the CNMI has the ability to expand their educational and governmental programs with the help of experienced aquaculturists and mariculturists from neighbouring islands. However, the local government needs to see the potential of this business in order to provide any additional support for programs. The Northern Marianas College CREES ARE program is the most effective program for promoting aquaculture in the CNMI. They have successfully developed the marine shrimp three phase program in the CNMI. Farmers have shown interest in growing these shrimps, through recent construction efforts to build the three phase Recirculation Aquaculture Systems (RAS). Another example of the success of the CREES program is the initial phase of the construction of their hatchery and demonstration facilities. This facility will be used as hands on training tool for farmers and students interested in the aquaculture field. Although significant strides have been made by this organization to improve the aquaculture industry in the CNMI, much work needs to be done to consider the CNMI a competitive force in this industry.